2013 proved to be a very challenging year for the Philippines. But through the difficulties and calamities, we showed extreme resilience and strength, which was witnessed and admired by the world over. As we face 2014, Krem-Top wishes to encourage every Filipino to continue to create greater and more positive changes in their lives. Together, let us all strive for a better Pilipinas. >It would be great if you would release attached photo collage in your blog/website, as we issue this call to action. 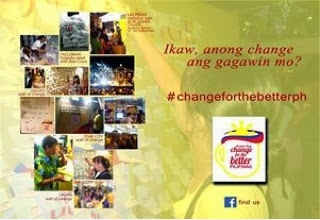 We do believe it benefits all Filipinos, and hope you can join us in this advocacy.